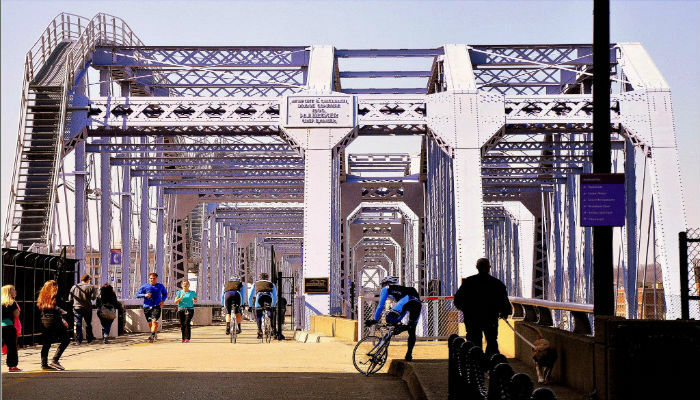 Devou Park is located in Covington, KY, across the river from Cincinnati and only 4 miles from downtown. It is the closest route to the Cincinnati/Northern Kentucky International Airport. 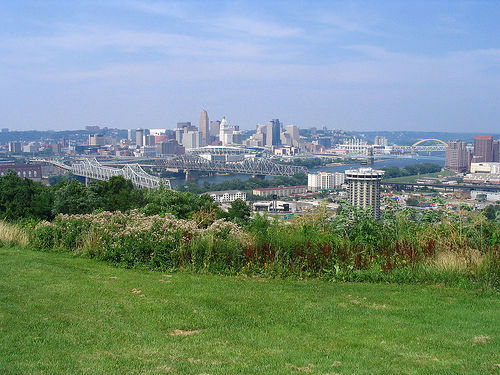 This hilltop park’s overlooks offer panoramic views of the Cincinnati skyline and the Ohio River valley below. Parking is available on Quarry Street. 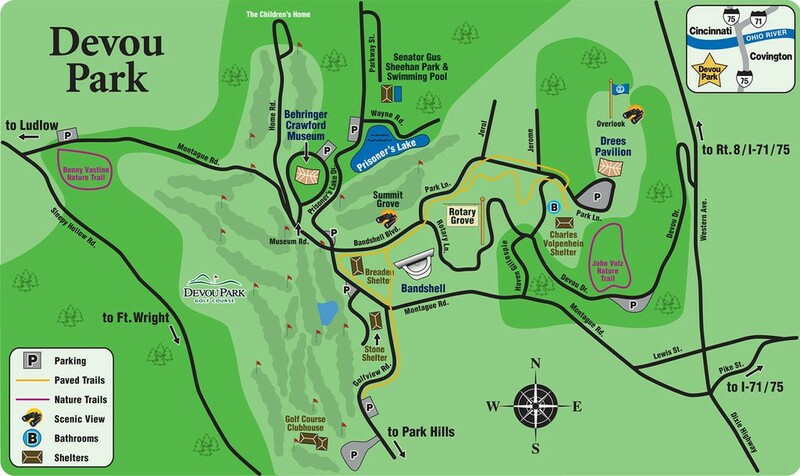 This route winds through the park passing the Behringer- Crawford Museum, Prisoner’s Lake and the scenic overlook — the view is pictured in our title photo.